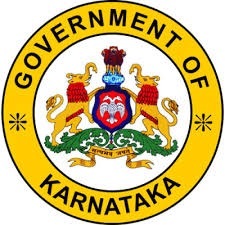 In Karnataka, the Statistical department was established during the year 1944 by the princely State of Mysore and has gradually developed into a department which is of the present order. The department of statistics was under the administrative control of Agriculture Department up to 1954. The government has Recognized the importance of statistics as one of the important tool for decision making in the expanding area of development programs, it was considered to amalgamate all statistical works of agriculture, public health and administration and intelligence section from the secretariat department to form a separate department in 1955, the District statistical offices were established in all the districts. District statistical Office which is the part of state statistical system, working for development and regulations of statistical system at district level. Being one of the essential tool to the government for engage progovernment programs inside and outside of the district through integrity, confidentiality of statistical system,achieving perfection and providing statistics with in the time. Birth and death Registration: As per Birth and Death Registration Act-1969, Birth and death Online certificates are issuing to publics through Departments of Revenue, health and Urban local bodies in ‘E-Janma’ Online application from Febrary 2015. Karnataka Raitha Suraksha pradhanamanthri Pasal Bhima(vima) yojana: Conducting Crop cutting experiments under Karnataka Raitha Suraksha pradhanamanthri Pasal Bhima(vima) yojana the main Purpose of this scheme is to providing the insurance for crops, if loss of crops due to natural calamities or various disease. District statistical office is acting as Nodal agency at district level for Conducting crop cutting experiments which are conducted by departments of agriculture, horticulture and Revenue. Crop Reconciliation report: In 2005-06 Various crops reconciliation system brought to reconcile the crop area at village/hobli/taluk levels. Under this system concerned departments like agriculture, horticulture and Revenue officers reconciles the crop areas seasonally. Publications : Directorate of Economics and Statistics is one of the department which is providing information to the government and publics among the various departments of state government. Department of Economics and Statistics would have published District at a glance and social and Economic review Avalokana which is very use full to publics regarding Socio-Economic activities.